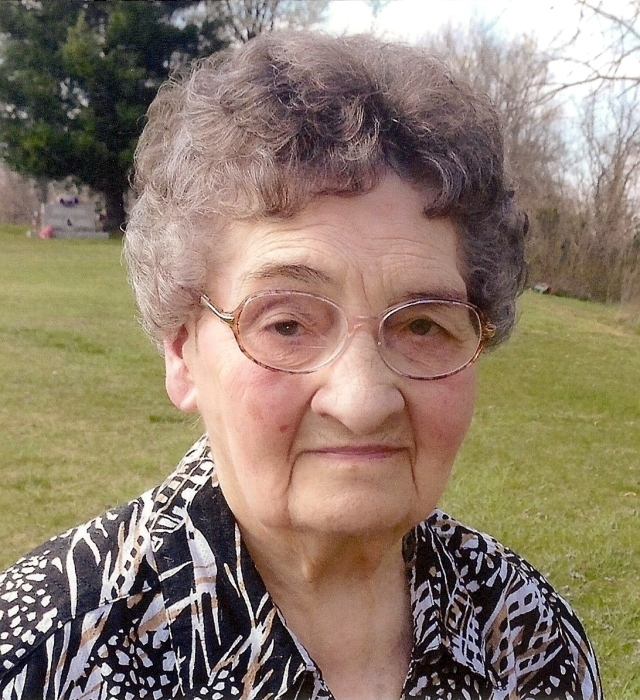 Obituary for Charity (Hollon) Tomlin | Butler Funeral Home, Inc.
Charity Hollon Tomlin age 90 departed this life on Tuesday, January 29, 2019 at her home. She is the daughter of the late General Hollon and Stella Hatton Hollon. Charity was a homemaker and of the Baptist Faith. Funeral services will be held 11:00 AM Saturday at the Butler Funeral Home in Edmonton with burial in the Gibson Cemetery. Visitation will be from 5:00 PM until 8:00 PM Friday and after 9:00 AM Saturday at the funeral home. She is survived by three daughters; Sharon (Robert) Eder of Indianapolis, Indiana, Pam (Leon) Gibson of Edmonton and Cheryl (David) Bolding of Tennessee. One sister Pauline Sewell of Ohio. Eleven grandchildren, three step grandchildren, nineteen great grandchildren, five step great grandchildren, and eight great great grandchildren. Besides her parents she is preceded her husband Bro. Roy Tomblin, two brothers George and Bennie Hollon.